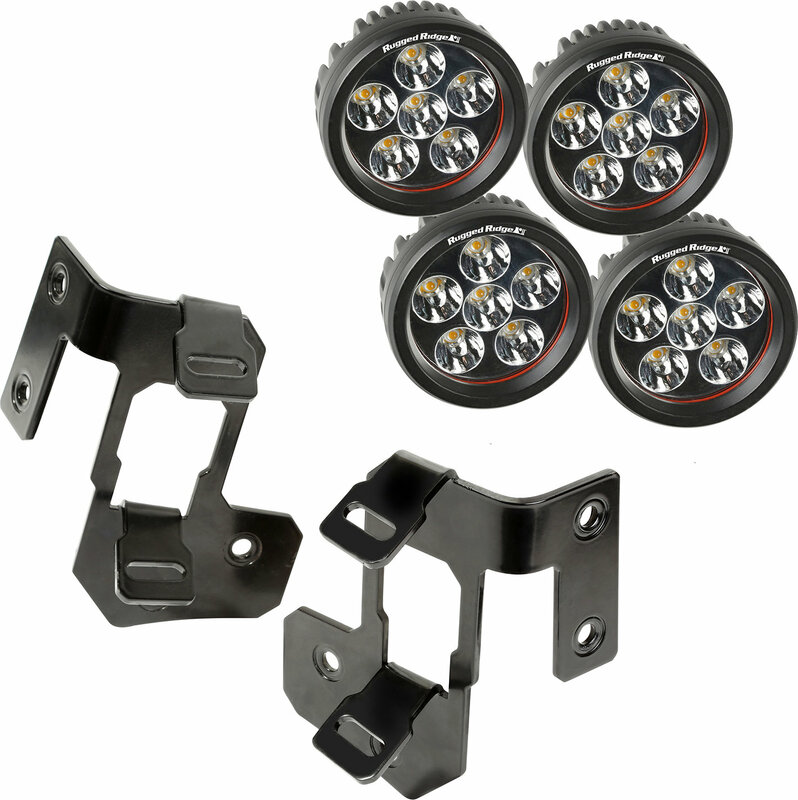 This semi-gloss or textured black A-Pillar light mount kit from Rugged Ridge includes a pair of light mounts and four 3.5-inch round LED lights. 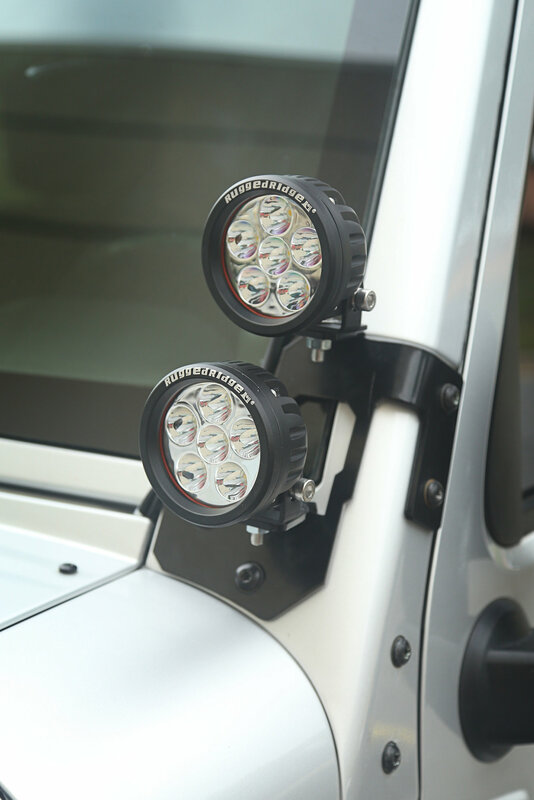 Each kit provides a new option for added visibility during evenings on the trail. 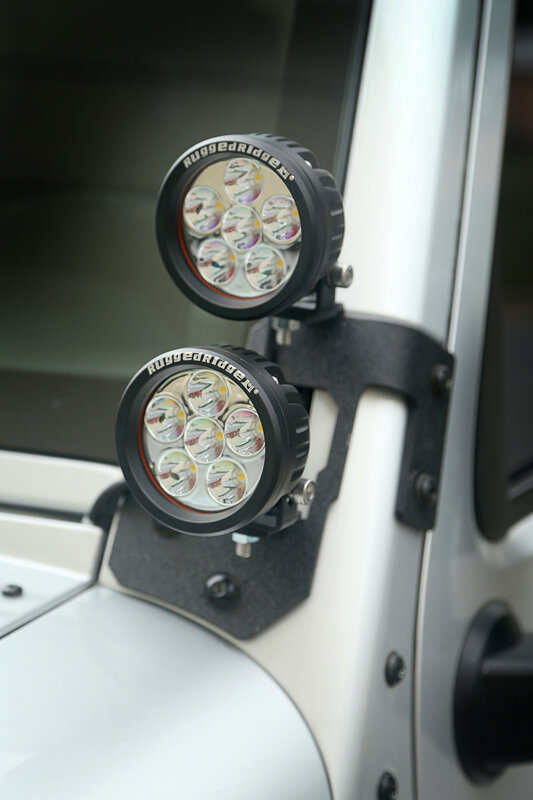 Constructed from heavy-duty steel, the new brackets are easily mounted to the lower windshield mount using the JK's existing mounting bolt holes, meaning there is no drilling or cutting required for installation. Wiring harnesses sold separately. Are these spot type or driving pattern lights? 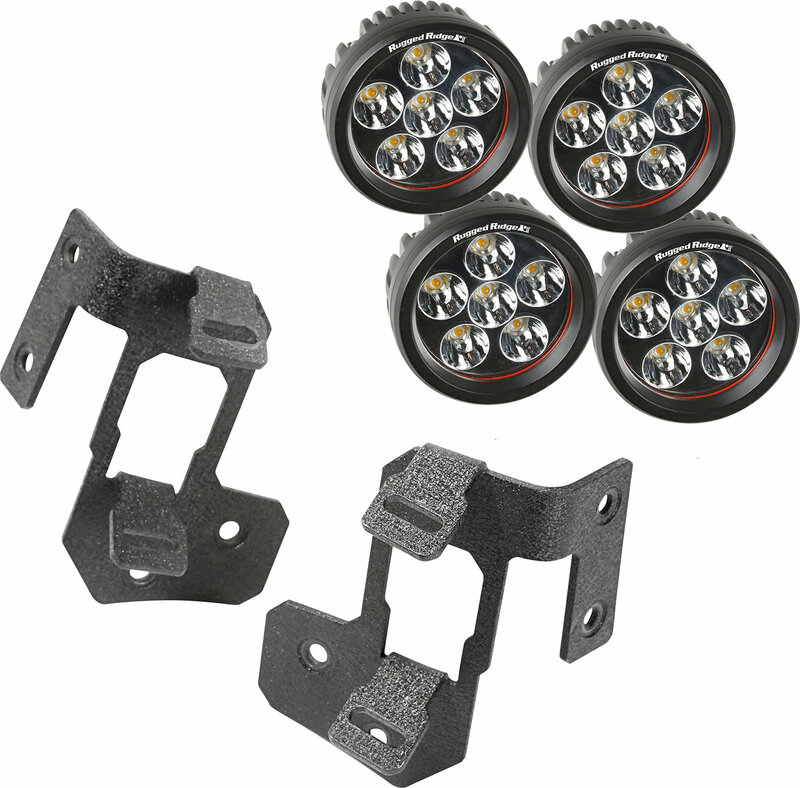 Whats the lumens on these lights? Hello, each of these lights puts out 1040 lumens. Thank you for your question.